The Max Planck Society, a highly reputed research institution, has bought the entire Springer Book Archives (SBA) consisting of 110,000 individual titles. The purchase gives staff in 82 Max Planck institutes in Germany direct online access to the retro-digitized books via the SpringerLink platform (link.springer.com). The Springer Book Archives contain the digital copies of nearly all the books published by Springer from 1842, when the publishing house was founded, up to and including 2004. The works are divided into 11 collections in English (around 56,000 titles) and five in German (around 54,000 titles). Licenses are available for each of these individual packages. 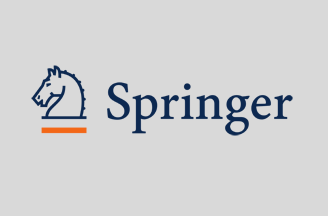 The Springer Book Archives give today’s researchers access to key academic work from the past two centuries, and researchers can use these e-books on a wide variety of electronic devices. The Springer Book Archives contain around 50 different imprints, although scientific works published by Springer Verlag account for the majority of publications. In addition, there are also titles by the longstanding engineering publisher Vieweg (now SpringerVieweg), the economics book portfolio Gabler (now SpringerGabler), the U.S. IT publisher Apress, and the U.S. science publisher Copernicus.